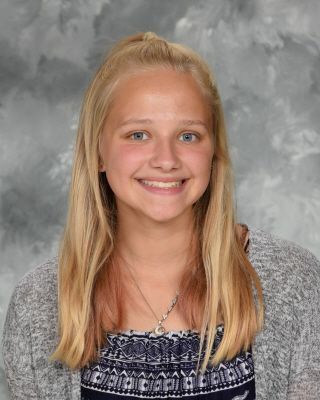 Sophie Sanders is a junior at Lakewood High School, she runs track in the spring, swims and dives for the LHS Swim Team throughout the winter and runs cross-country in the fall. This is her third year running with the Girls Track Team. Sophie has been running varsity all three years. Q: Do you plan on running in college? A: Yes, I do plan on running, I am currently looking at D2 and D3 colleges. A: My favorite memory is always messing around with Emily at practice. Q: What do you run? A: For track, I run mid-distance and distance as well as the 400, 800, 1600, 3200. Also in the fall, I run cross-country. Q: What is your goal for the upcoming season? A: My goal for the season for me personally is to place at conferences and regional. My goal for the team is to make it as a team as far as we can in conferences. A: I first started running track in middle school; I was a sprinter then but when I got into high school I started to run everything. Sophie claims that the team as a whole is doing well for their start of the season; the team placed 5th in the Ranger Relays, which was the first track meet of the season. Overall Sophie has said that she has had a good season so far; she has broken a 6-minute mile, running a 5:49 for the first time ever. Sophie is going to continue working hard with her team to make it to the top this year.